Hey! 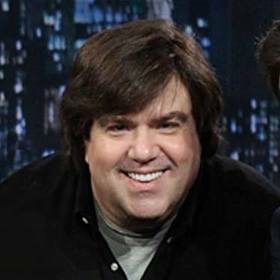 I'm Dan Schneider, maker of TV Shows, Movies & Fine Ointments. Dan has created some of Nickelodeon's most popular shows including Sam & Cat, Victorious, iCarly, Drake & Josh, Zoey 101, The Amanda Show, and All That. He has a website at www.danschneider.com about the TV shows, movies, and other show biz stuff from Dan Schneider and Schneider's Bakery. This site is regularly updated with news, info, and cool behind-the-scenes pics & videos - often from Dan himself. Also, make sure to check out Dan's Twitter, Instagram, Facebook, and YouTube.